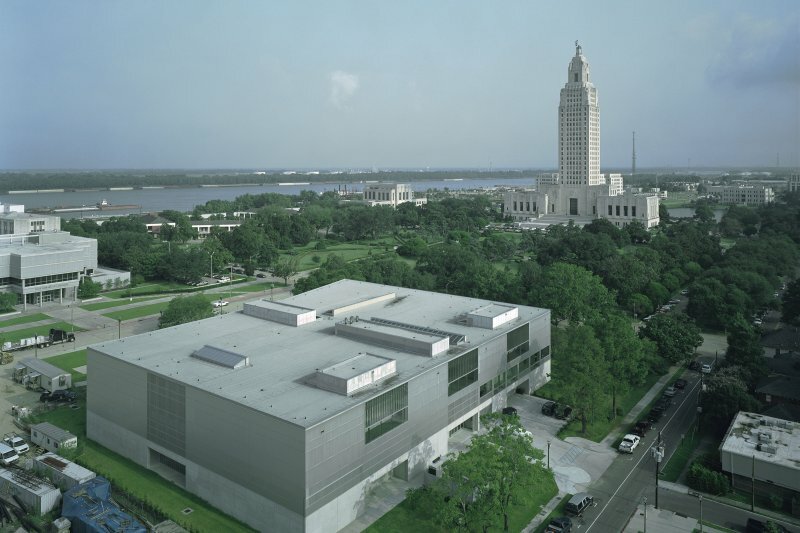 The Louisiana State History Museum is located on the state capitol grounds, adjacent to the historic 1932 Capitol Tower and Gardens. Its presence and purpose, a comprehensive history of the state, is a rich enhancement of the historical legacy of its surroundings. Establishing biaxial symmetry with the State Library across the street and the Capitol Tower, the museum can be approached from either of these two directions, where visitors converge at the west-facing entrance. There, a gigantic opening in the façade reveals a court carved deep into the building. It slices an impressive concourse for the museum, a sort of overscaled front porch. Opening to the north, the porch frames a view of both The State Capitol and Capitol Park, lending a visual and historical context to the surrounding landscape on which the museum sits. Typically, the porch is an appendage, an additive element. 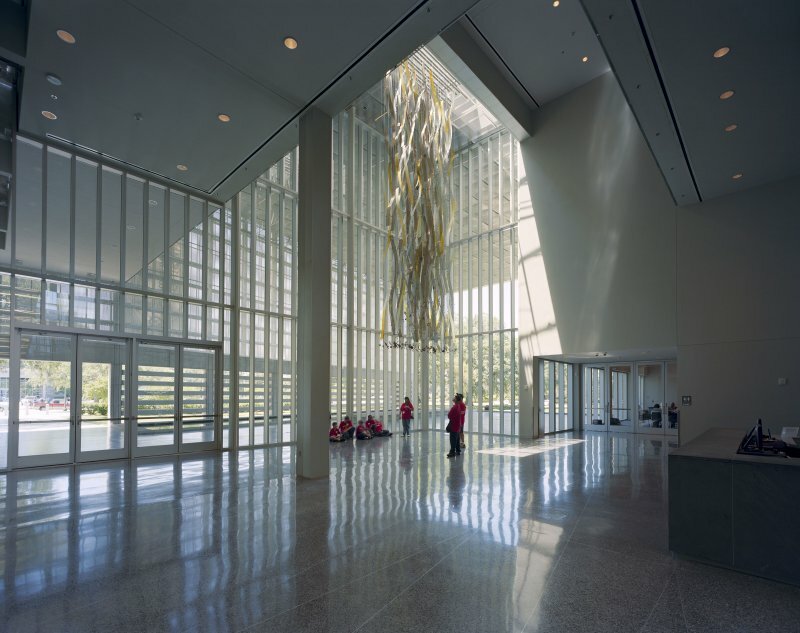 At the State Museum, by contrast, it is a subtraction, the opening of a space within the volume of the building. But the precedent is honored, nonetheless: the porch still suspends the journey from outside to in. It is still a place to stop and pause before entering the building, or a space for large public gatherings. 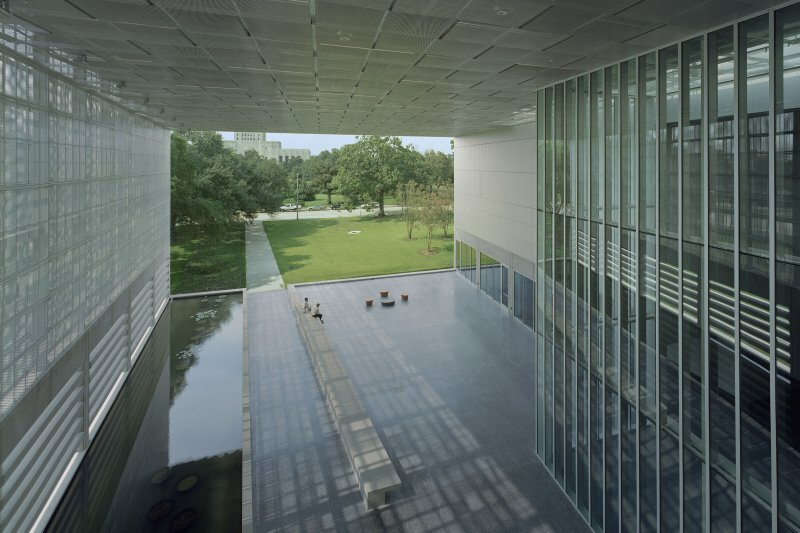 The inversion is a translation of tradition, engaging the spatial and processional qualities of Louisiana architecture, and not its decorative embellishments. The 70,000 square foot structure is composed predominantly of large galleries surrounding a glazed central lobby/circulation space and features a 200-seat auditorium/banquet hall. 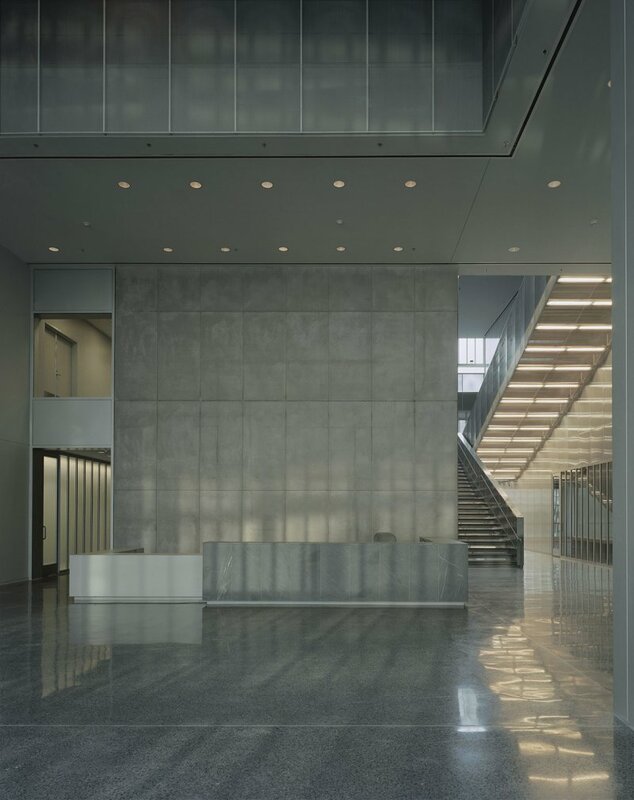 Architecturally, the building’s concrete, glass, and metal exterior respond to its surrounding context of government structures, while identifying the Museum as a distinctive cultural entity.